We specialise in providing travel insurance policies for those travelling on leisure and business trips. Our products contain a number of sections, offering different types of cover provided by different insurers. Our travel insurance cover is provided by Union Reiseversicherung AG an insurer registered in Germany. Our Gadget and Mobile Phone insurance is insured by Ageas Insurance Limited for policies issued up to 31st March 2016 and Great Lakes Reinsurance (UK) for policies issued from 1st April 2016 onwards, both insurers are registered in the United Kingdom. Our Financial Failure and Force Majeure insurance is insured by CBL Insurance Europe Limited, an insurer registered in the Republic of Ireland. If this criteria changes, or if we add another section with a new provider, we will tell you before you agree to take out or renew that particular policy. We will normally communicate with you by email, post, and telephone. Please let us know if you would prefer not to receive communications by any particular medium. Whilst we monitor the financial strength of the insurers with whom we place business it should be noted that the claims-paying ability of even the strongest insurers could be affected by adverse business conditions. We cannot, therefore, guarantee the solvency of any insurer or underwriter. A liability for the premium, whether in full or pro rata, may arise under policies where a participating insurer becomes insolvent. You must take reasonable care to answer all questions put to you about your proposed insurance fully, honestly and to the best of your knowledge. If you do not understand the meaning of any question, or if you do not know the answer, it is vital that you tell us. Once cover has been arranged, you must immediately notify us or your insurer of any changes to the information that has been previously provided. The most serious consequence of failing to provide full and accurate information before you take out insurance, or when your circumstances change, could be the invalidation of your cover. In that instance it would mean that a claim will be rejected. You are advised to keep copies of any correspondence you send to us or direct to your insurers. Our remuneration is a percentage of the insurance premium paid by you and allowed to us by the insurer with whom the insurance policy is placed. 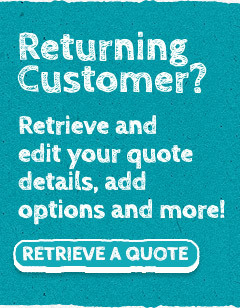 We do not normally charge a fee for our services, however we reserve the right to do so, and if we choose to do this we will clearly show these within our quotations to you. Unless we tell you otherwise when you take out or renew a policy with us we make no charges in addition to the insurer's premium. We reserve the right to make an administration charge of £15 in the event of a policy being cancelled mid-term, and not replaced by another policy, we reserve the right to retain the commission earned on the original transaction. We normally accept payments by credit card, debit card or cheque. All information provided by our clients is treated as confidential and only disclosed in the normal course of negotiating, arranging and administering your insurance. This may include disclosing information to agents and service providers such as loss adjusters and approved contractors. We may also use the data we hold about you to provide you with information about other products and services which we feel are appropriate. You are requested to let us know if you do not want to receive this information. Unless stated otherwise in our documentation, all quotations provided for new insurances are valid only for a period of 28 days from the date of issue. Please note that any quotation in respect of a declared medical condition is only valid for 14 days from the date of issue. We will normally deal with any requests to increase or amend cover on the day your instructions are received, or the next working day if a weekend or public holiday. Sometimes changes cannot be processed without obtaining additional information. If additional information is required we will contact you as quickly as possible. We will confirm changes to your policy, once agreed, in writing. We will also advise you of any extra premiums you must pay or premiums we must return to you. We do not consider instructions to arrange or change cover which are sent to us by post, electronic mail or facsimile, or left on voicemail, to have been received until they reach the relevant personnel in our offices. We do not accept responsibility for instructions which do not reach us at all due to failures in the postal, electronic or telecommunications systems. Our aim is to produce documentation and issue correspondence in a clear and understandable format. In the event of any uncertainty we would ask you to let us know immediately. Our staff are always happy to clarify the cover provided. You should check all policy documentation to ensure that the details are correct and the cover provided meets with your requirements. Any errors should be notified to us immediately. Please note that Infinity Insurance Solutions Limited is not authorised to deal with any claims under the travel policies. You should, therefore, consult your policy documentation for contact details for the various insurer's claims departments. Please ensure that you report all incidents that could give rise to a claim as soon as you become aware of them by contacting the insurer on their helpline. You will be advised if you need to complete a claim form or produce documentation to support your claim. In certain circumstances late notification may result in your claim being rejected. until your insurers advise that you can. If your claim involves damage to third party property or injury to persons please pass copies of all correspondence, including solicitors' letters, to the insurers immediately and unanswered. Any attempt to negotiate or respond to the incident, without prior reference to the insurers, may prejudice your cover. If you cannot settle your complaint with us you may be entitled to refer it to the Financial Ombudsman Service (FOS). You can find out more about this by visiting the FOS web site at www.financial-ombudsman.org.uk. You are also able to use the EC On-line Dispute Resolution (ODR) platform at https://ec.europa.eu/consumers/odr/ who will notify FOS on your behalf. You can request a copy of our procedures for dealing with complaints at any time. We are covered by the Financial Services Compensation Scheme (FSCS). You may be entitled to compensation from the FSCS if we cannot meet our obligations. This depends on the type of business and the circumstances of the claim. Insurance advising and arranging is covered for 90% of the claim, without any upper limit. For compulsory classes of insurance, insurance advising and arranging is covered for 100% of the claim, without any upper limit. Further details about compensation scheme arrangements are available from the FSCS. If for some reason you change your mind after purchasing the policy, you can cancel within 14 days of receiving your policy documents and get a full refund of the premium you have paid, provided you have not travelled or claimed on the policy. Single Trip policies -In the event you have not travelled and are not claiming on the policy, a refund of 50% of the policy premium and any additional premium applied to your existing medical conditions will apply. If you are intending to claim, or have made a claim (irrespective of whether your claim was successful or not) we will not consider refunding any proportion of your premium. Multi Trip policies - Provided you have not made a claim (irrespective of whether your claim was successful or not) on the policy and you confirm in writing that there is no claim pending, should you chose to cancel and understand that all benefits of the policy will be cancelled, we will refund 5% of the total premium paid, for each full calendar month remaining on the policy from the date of cancellation. If you are intending to, or have claimed (irrespective of whether your claim was successful or not) we will not consider refunding any proportion of your premium. You are deemed to have accepted these terms of business and give your consent for us to operate in the ways described, unless you advise us otherwise within seven days of receipt.